KAPA Hawaiian FM morning personalities Jaz and Ka‘ea welcomed Keali’i Reichel to the KAPA Cafe. 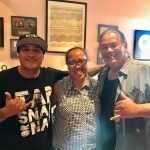 Keali’i is a singer, songwriter, dancer, and teacher from Maui. In 1994, he released the classic album Kawaipunahele, which was one of the first albums to go gold in Hawaii. 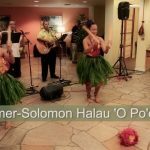 He has taught Hawaiian culture and language at the Universities of Hawaii, Maui community college, and was the Cultural Resource Specialist and curator at the Bailey House Museum. Keali’i is one of the founding directors for Punana Leo O Maui, which is a Hawaiian language immersion preschool.